I have a printer that can normally print up to A4 (8.27 x 11.69 inches) or US letter size (8.5 x 11 inches). I'm thinking of keeping the width the same (8.5 inches) but increasing the height, based on an aspect ratio of my choice such as 21:9, 17:9 or 16:9 . That way, I can get larger prints without having to buy a new printer, and I would anyway like a wider aspect ratio than A4. In other words, A4 is too squarish for my taste. But I haven't seen any documentation saying that the printer can print larger than US letter or A4. Does anyone know if it can? Do printers normally let you increase the paper height beyond the documented number while keeping the width the same? 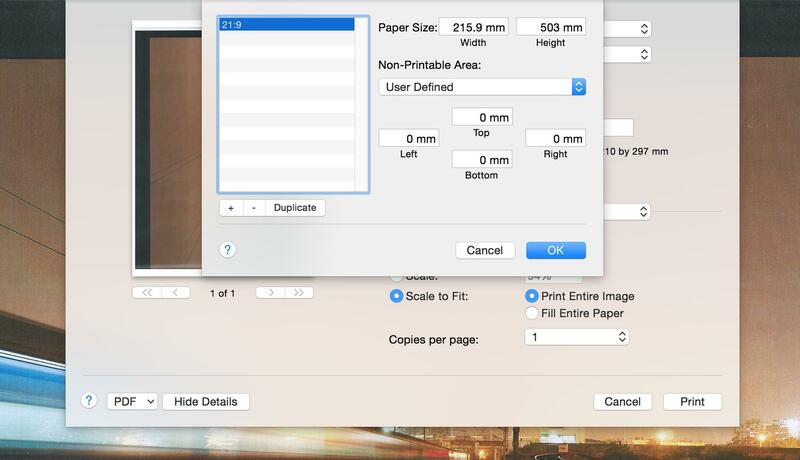 I checked the PDF manual, and it tells me to refer to the software for the supported paper sizes, and the software seems happy with letting me print larger sizes. On the other hand, the aforelinked spec page doesn't say so. Since I can't get paper in these custom sizes, I'm thinking of buying A3-sized glossy 240 GSM paper and cutting it down to this size using scissors. Do the edges of the paper need to be perfectly straight for it to not get stuck in the printer? I'm assuming that if the printer can print borderless on 8.5-inch wide paper, it can do so no matter the height. Is there anything else I need to keep in mind before I try this out? Or, accurately, 9:21, 9:17 and 9:16. 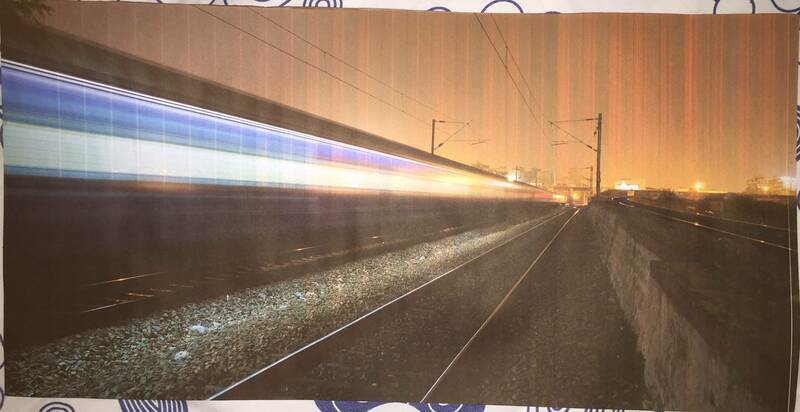 This is an A3 sheet cut on the shorter side to match the shorter side of an A4 sheet. In other words, A4 is 8.27 x 11.69 inches, and A3 is 11.69 x 16.53 inches, and this sheet is 8.27 x 16.53 inches. Not only does it print, but it prints borderless. This looks like a novel idea but I doubt it will work. Certainly that has been my experience in the past. But... there are a huge number of specifics and you may be lucky. All inkjets are physically/mechanically capable of printing indefinitely so long as there's ink and the paper goes through the pathway correctly. Unfortunately it does not follow that the electronics and firmware in the printer or the software (drivers) on your machine are similarly capable. If they try to load the whole image/page into memory for example then it's not going to work if the image is too big. I would expect that you won't be able to get much beyond A4 just because of arbitrary limitations put there by HP but the only way to find out for sure is to try - cut an A3 sheet down to 220mm on the short edge and try some custom page sizes. Not the answer you're looking for? Browse other questions tagged printer aspect-ratio ink-jet or ask your own question. How many printed dots are needed to represent a pixel with an inkjet printer?